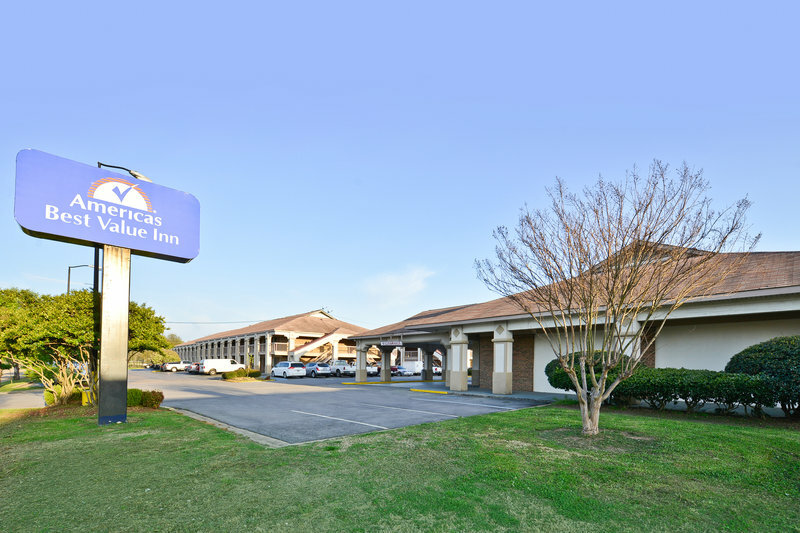 Check Rates & Availability at Americas Best Value Inn Oxford Anniston! Welcome to Americas Best Value Inn Oxford/Anniston located off of Interstate 20 between Birmingha-Alabama and Atlanta-Georgia. Our hotel is less than 16 miles from Talladega Superspeedway and is only a short drive to neighboring Anniston. Whether you are visiting for business or pleasure come stay with us and experience all that the beautiful city of Oxford has to offer. Start your day off right with our free continental breakfast and coffee service in our lobby. Enjoy a refreshing swim in our seasonal outdoor pool open May to October. Appreciate the convenience of our business center as well as our fax and copy services. Stay connected with free wireless high-speed Internet access in our guest rooms and public areas. Step into the privacy and comfort of your own guest room featuring amenities including a microwave mini-fridge coffeemaker hairdryer cable TV HBO ESPN board desk with lamp clock radio free local calls and wakeup service. Irons are available at the front desk. Select rooms are handicap accessible and feature grab bars in the bathrooms and roll in showers. Pets are allowed-charges and restrictions apply. Check out one of the local area events including the Birmingham Home and Garden Show in February Oxfordfest in October and the White Mountain Bluegrass Festival in November. Hike to the top of Mount Cheaha and experience the view from the highest point in Alabama or explore the local wildlife at the Anniston Museum of Natural History. Play a round of world class golf at Robert Trent Jones Trail at Silver Lakes or head over to the Oxford Exchange for some shopping. Racing fans will want to visit Talladega Superspeedway and the International Motorsports Hall of Fame. Enjoy a delicious meal at one of several nearby restaurants including Bojangles-Los Mexicanos Restaurant and Brads Bar-B-Que. At Americas Best Value Inn Oxford/Anniston Weve Got You Covered from the time you hit the road until your head hits the pillow. Welcome to Americas Best Value Inn Oxford/Anniston located off of Interstate 20 between Birmingham Alabama and Atlanta Georgia. Our hotel is less than 16 miles from Talladega Superspeedway and is only a short drive to neighboring Anniston. Our address is 3 Recreation Drive- Oxford- AL 36203.